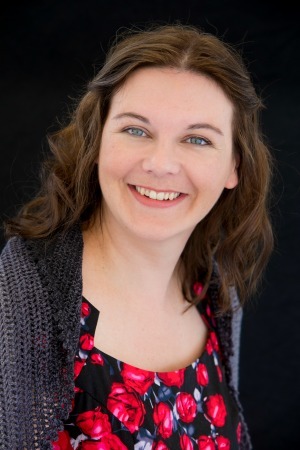 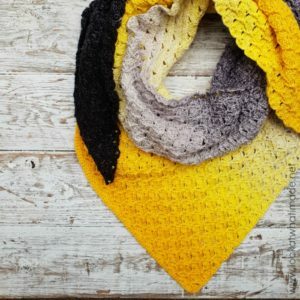 The My Voyage Shawl was specifically designed for my 2019 Crochet Cruise with Crafty Adventures. 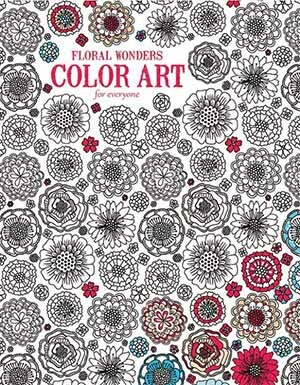 Think of it as a vehicle for cataloguing your own personal voyage by using simple repeats, colours that make your heart sing, and beads for a spot of glamour. 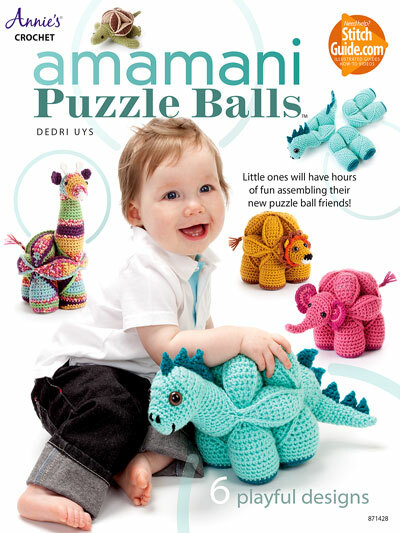 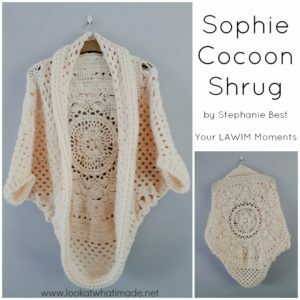 It is with great joy that I present you with the pattern for Sophie’s Dream. 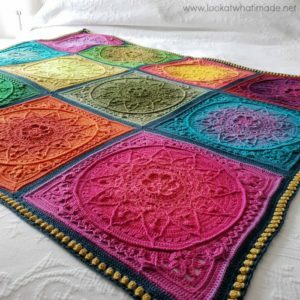 Everything about this project makes me so very happy! 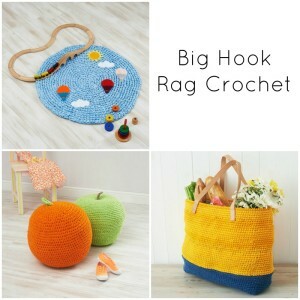 I hope you’ve got your hooks at the ready!! 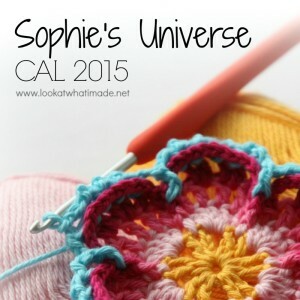 I designed this simple hexagonal coaster to reflect the look and feel of the Ubuntu CAL 2018. 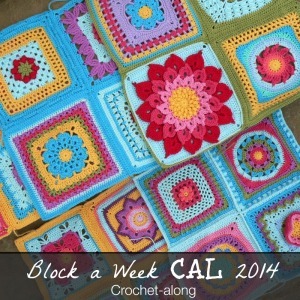 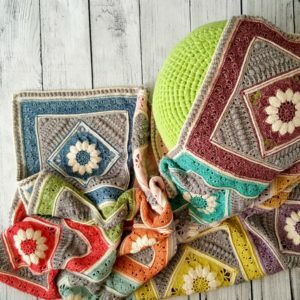 It is perfect for using small scraps of yarn, and I think it would make a wonderful motif for a blanket (if you don’t mind all the ends)! 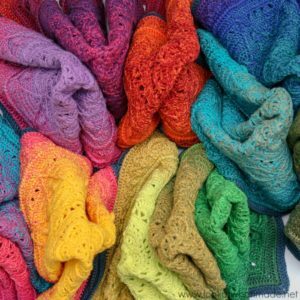 I have decided to call it ‘Six Degrees of Separation’, based on the scientific theory that we are all separated by six or fewer degrees (or ‘friend-of-friend’s). 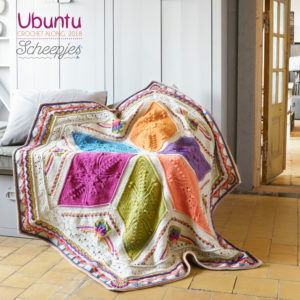 Sophie’s Dream has a very bohemian feel – brights combined with brights to create a riot of colour, all without any of the colour-changing work. 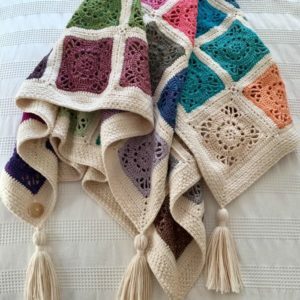 This blanket is much more Mrs. Maisel than Charlotte Brontë! 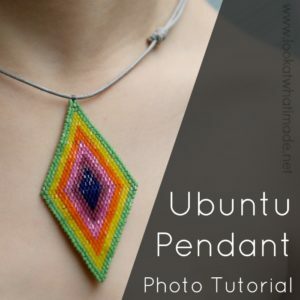 In this tutorial, I will show you how to make a friendship pendant using ladder stitch, brick stitch, and decreasing brick stitch. 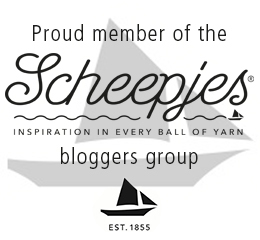 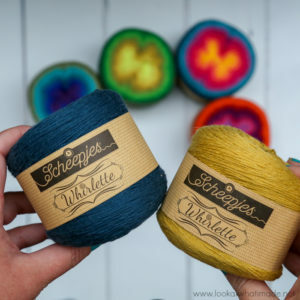 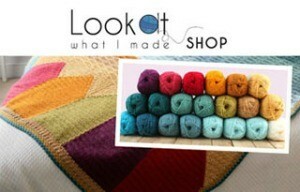 I cannot wait for you to see what these gorgeous Scheepjes Whirls will turn into!! 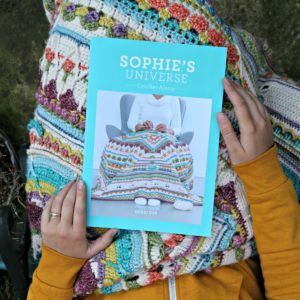 Sophie’s Dream is going to be a riot of colour! 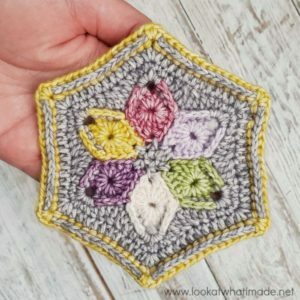 I would love for you to join me in a beading adventure with this Bonus pattern for the Scheepjes Ubuntu CAL 2018. 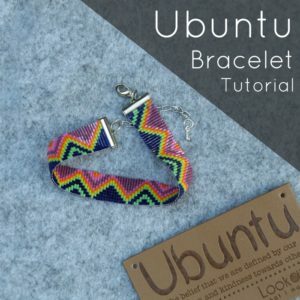 Esther (on video) and I (photo tutorial) will walk you through making this gorgeous Friendship Bracelet. 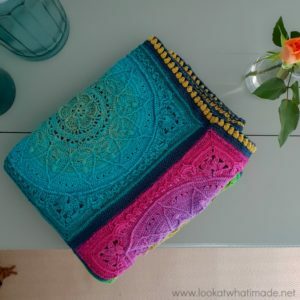 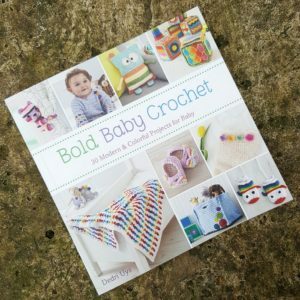 I am pleased to feature my very first ‘Look at what I made!’ moment – the gorgeous Emma blanket Hazel Raven made using my Emma Square pattern.